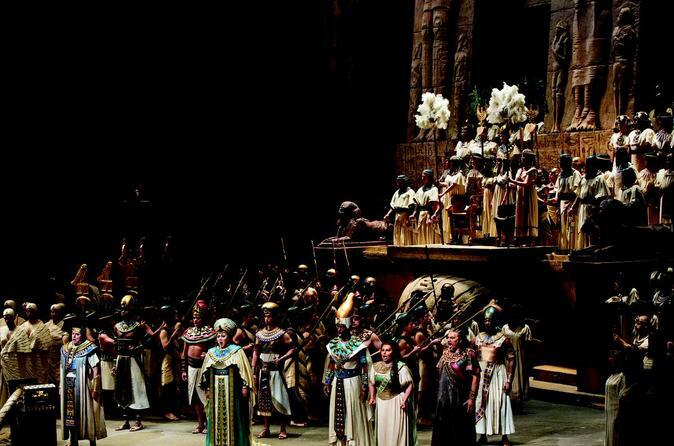 Grand opera at its grandest: the splendors of ancient Egypt return to the stage of the Met. Verdi’s mythic love triangle features Liudmyla Monastyrska, Latonia Moore, and Oksana Dyka sharing the title role, with Olga Borodina and Violeta Urmana as Amneris and Marcello Giordani and Marco Berti singing Radamès. Marco Armiliato and Plácido Domingo share conducting duties.